Imagine what new windows could do for your home. Installing new windows would make several home improvements at once including a new look, better energy conservation (which means more money in your pocket), and less maintenance, as new window styles are usually easier to clean. 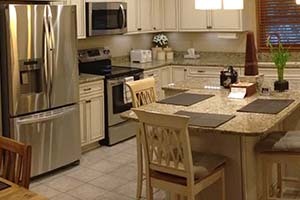 With the reputation for being the premier kitchen remodeling company in Ohio, our renovation experience provides homeowners with peace of mind that their new kitchen will live up to their dreams. We also use a 3D rendering program that allows our clients to see the result before we get started. Finishing your basement is a great way to expand the livable space in your home. Whether you want a calming oasis to retreat to after a long day or the ultimate entertainment space for movies and more, we can create the basement of your dreams while also adding real value to your home. From master en suites to the half bath down the hall, having a well-equipped bathroom is important. You may need a more functional space to get ready in the morning or a tranquil spot to relax and soak away a long day. 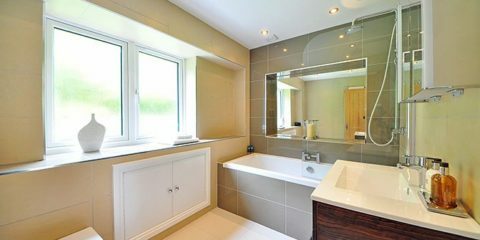 Our bathroom renovation expertise means you can get it all. 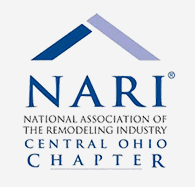 When choosing a home remodeling company in Columbus, Ohio, for your kitchen, bathroom or basement, there are many factors to consider. You want an honest and reliable contractor that does high-quality work at a reasonable price, right? As well as a home remodeler with the experience and know-how for all aspects of the job, like installing windows and doors as well. We want you to feel like your project is our only project. From start to finish, we work with you closely to make sure we’re creating your dream home. We’re able to do this using a 3D rendering technology called 20/20. This allows us to show you almost exactly what the space will look like before we even get started! 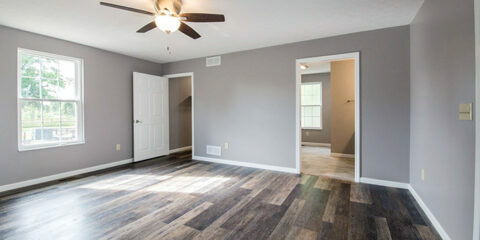 Why Choose Wingler Construction and Remodeling for your home? The Wingler family has been helping homeowners with their remodeling needs for three generations. We believe this longevity and level of success is attributed to the qualities our team possesses including the intuitive desire for excellence in product and service quality and the total satisfaction of all our residential and commercial customers. As a local home remodeling company, we focus on customer satisfaction. There's no job too big or small for us, and we're delighted to serve our clients in the best way possible. Contact us today to schedule a free consultation. From kitchen, bath, and basement remodels to professional window and door installations, with Wingler Construction and Remodeling, you’ll have confidence in the beauty, reliability, and comfort of your home every day. We had a skylight and a front door installed by this company, and the gentleman who installed the door, Rick, was an absolute pro. He was very professional, answered all of my questions, and had us all taken care of very quickly. He went above and beyond. The salesman, Glenn, was also wonderful to work with. He came to our home, and made financing so easy. Both of them were a joy to work with, and made the process enjoyable. Happy customer indeed! We did countertops and used Wingler. They also did tile work on the back of the wall. It went very well and we have been using them for 16 or 17 years. We are just very happy with them. They do really good work. Their workers are clean, friendly, and answered questions that needed to be answered. Their responsiveness was excellent! Sales Rep was fantastic. Installer was neat, clean, and knowledgeable. The guys were great! Polite, professional, really cleaned the area afterward. Did small things to make the job & house look better at no extra charge. We never had a problem and if we asked questions they were answered right away. We had a skylight and a front door installed by Wingler, and the gentleman who installed the door, Rick, was an absolute pro. He was very professional, answered all of my questions, and had us all taken care of very quickly. He went above and beyond. The salesman, Glenn, was also wonderful to work with. He came to our home and made financing so easy. Both of them were a joy to work with and made the process enjoyable. Happy customer indeed. It was an amazing experience. They suggested options that fit the look and style of my home and finished everything in a very timely fashion. They even pointed out a very minor flaw in a cosmetic part of the door that I would never have noticed. But they did! 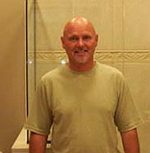 We would like to thank Wingler Remodeling & Construction, and especially Dennis, our salesman, and Tim and his helper for doing such a fantastic job with our bathroom. Dennis basically picked everything out for me, which I'm thankful for, and unless we looked at the bathroom when we got home from work you would never have known Tim had been here. They came after we left for work and were gone by the time we got home and the rest of the house was just as we Ieft it that morning. And as far as being trustworthy, we had no problem giving Tim the key to our home. Thank you for a great job and getting it done in a timely manner. We will absolutely call you for our next project. I bought Mr. and Mrs. Pennington's home and I have to say, the curb appeal is what made me a buyer. Your company did an outstanding job on this house and I love it. If I ever needed anything done I'd sure call you. I'm very picky and I looked for something wrong and couldn't find it. I rate your company a 10 - thank you! We were quite happy with the professionalism that your employees showed to us and we were more than happy with the new door, siding, roofing and gutter work that you performed. We would recommend your company to other people that needed your services. I truly could not be happier with my new skylights and the service I received from Glenn, Ty and Brian. Most excellent! Dennis Downey was very helpful at the beginning and throughout the job. Very professional. Roger went out of his way to make things right. Excellent customer service and workmanship. Thanks to all! We rate Wingler 5 stars - we were satisfied in every way. Thank you! Our new windows just make our buildings smile! In regards to the recent work your company performed on our home, we would like to thank you for the prompt and efficient manner the work was done. Your workers were friendly and professional as well as neat and we appreciate their performance. We are very pleased with your services and would be happy to recommend Wingler Construction & Remodeling to anyone in need of your help. I am writing to personally commend the three men that installed my new windows earlier this week. I was extremely impressed with their promptness, friendliness, and their overall commitment to customer service. Their workmanship, in addition to their tidiness, made for a beautiful installation with minimal disruption to my home. We were very pleased with the work that was done. This is the fourth project that we've had done by your company and we've always been very pleased with the work performed. We are always happy to recommend your company for we know work will be done to the customer's satisfaction. My husband and I wish to thank you for the work on our windows. We couldn't be more pleased and they look great! A big thank you to the two men who installed them - they were very polite and best of all, they cleaned up everything. For future remodeling jobs we may have, we can award the contract to your company. Just a note to Donnie...your crew Eric and Lance did an excellent job!!! I want to thank you for your excellent service and your very fine people. My wife said your man was polite, helpful an she was delighted with the windows. When we have other remodeling needs we now know who to call: Wingler Construction & Remodeling. Thanks again for superior products and great service. We wanted to let you know that we were very impressed with the crew your company assigned to work on our home. Sometimes having work done on your home can be very disruptive and aggravating. Sonny and Scott made our experience just the opposite! They were very friendly and easy to work with. We were impressed by how neatly they left our yard at the end of the day. When we asked questions, they answered them by giving us more information than we asked for. We were at home during the week of installation and when any problems came up during the week, Sonny and Scott were able to solve it with speed and humor. Due to this first and terrific experience with your company, you can be assured that we will recommend your company to all of our friends and acquaintances. We look forward to working with you again on our next home improvement projects. Thank you Wingler & Sons! I never got around to thank you for the wonderful siding job you and your crew did for Terri and me. We have been complimented by our whole neighborhood on how nice it looks. We will definitely refer you! Thanks for everything!! IT IS FINISHED! The gazebo is finished! On November 8th, NARI members finished this very long, problematic, labor-intensive community service project. The city has been called for final inspection and we await those final words. I want to personally thank you and all of the members who contributed to getting this project done. It was certainly a challenge over the two year period of time it took to overcome all of its challenges. But nonetheless, it is finished and we thank you. I'm sure that many seniors in the Americrest area will enjoy get-togethers there and will reminisce about the many days and hours spent with NARI members getting the project completed. I hope we can continue to look positively to future community service projects. Your support is truly appreciated. Thank you so much for our new windows and the quick installation. We got snow last night, so it was a real blessing to know everything was completed. I love it! God bless you and all your employees who made this possible. Thank you so much for the excellent work you have done on our new windows. They look great! I came home from work the day you had completed the installation of all the windows. I was so surprised everything was complete and it was like you were never here. There was NO MESS! I just wanted to write to say I was extremely pleased with the work. Thank you so much for helping me. I am writing to personally commend the three men that installed my new windows earlier this week. I was extremely impressed with their promptness, friendliness, and overall commitment to customer service. Their workmanship, in addition to their tidiness, made for a beautiful installation with minimal disruption to my home. They thoroughly impressed me and I wanted you to know! Please share my gratitude with them, and everyone at Wingler, for a job well done!! Just wanted to let you know how much we have appreciated working with professionals like the crew that did our siding and windows. The attention to detail and their depth of knowledge is apparent when comparing our home to the others in our neighborhood. We have recommended Wingler Construction & Remodeling to several neighbors who still have storm related damage that needs to be repaired. On behalf of our congregation and myself, I would like to thank you for your above and beyond efforts to complete our roof to our windows. It has been an ongoing problem for us from the beginning, but it has been very gratifying to work with a company who cares about its workmanship, its reputation, and its customers. You have been exceptionally accommodating and generous in your willingness to persevere with us to find the root of the problem. For the first time in four years, we feel like we can relax knowing that the problems are solved and we can move on to other things. Again our utmost thanks to you. I wanted to tell you how pleased I am with the bay window installed at my home last week. I was sure I would like the end result, but you actually exceeded my expectations. The quality of the window is exactly as promised, and the overall effect is that the window “looks as if it has always been there,” which is exactly what I wanted. The installation was pure perfection. I was very impressed by your installer’s attention to every detail, especially considering I have an older home that certainly presents more of a challenge. Your installer is a craftsman. It is truly refreshing to see a project done with such pride. I look forward to doing business with you in the future, and will heartily recommend your services to my friends and associates. Just a note to let you know how satisfied I am with the installation of my new storm windows. I appreciate the effort to get the right color, but as it turned out the combination of colors is not bad at all. I wish to commend the two craftsmen that were sent out to install the windows. They did exceptionally fine and efficient work. Very accommodating plus they were very pleasant to have around. If there is anything that I might need done in the future that you can supply, I will certainly contact you. Thanks for your help on this project. We are a team in every sense of the word. "I wouldn't be where I am today without my loyal team. Many of my key people have been with me for more than 20 years, and others have decades of great industry experience. They care as much about quality work and happy customers as I do because keeping customers happy is the key to our success. In fact, most of our annual sales are made to previous customers and referrals from previous customers. We work very hard to earn your trust and we'll never take it for granted." As a home remodeling company in Columbus, Ohio, we renovate kitchens, bathrooms, and basements, and provide window and door installations. 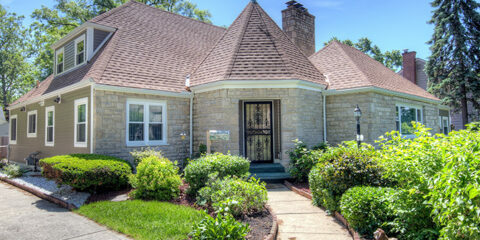 Our goal is to provide you with the best home renovation experience possible. Contact Wingler Construction and Remodeling today to schedule a free consultation. 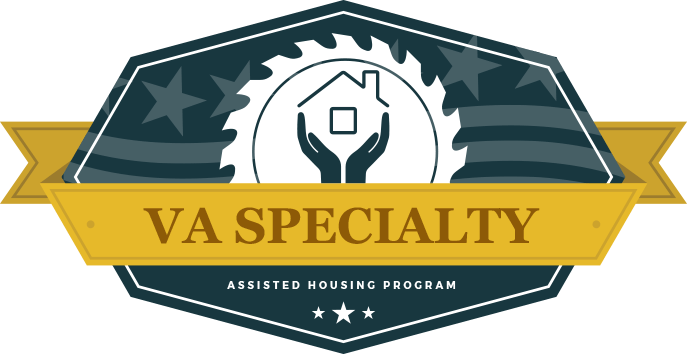 Project Highlight: Mr. Houston’s Room Addition, a VA Project This summer, Wingler Construction & Remodeling had the opportunity to work on a 4-month remodeling project for a local veteran. Mr. Houston, who suffers from Lou Gehrig’s disease, needed a room addition to make his home more accommodating. 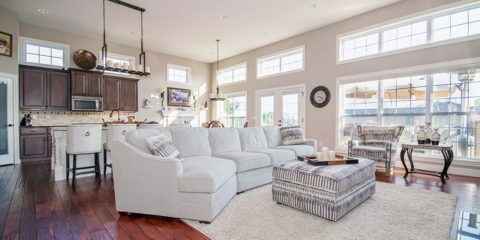 He applied for a home remodeling grant through the Colu ..
Project Highlight: The Abrams Home in Bexley, Ohio This summer, Wingler Construction & Remodeling had the opportunity to renovate a house that we are very proud of. Mr. Abrams came to us this spring with the goal of updating his mother’s Bexley, Ohio, home. 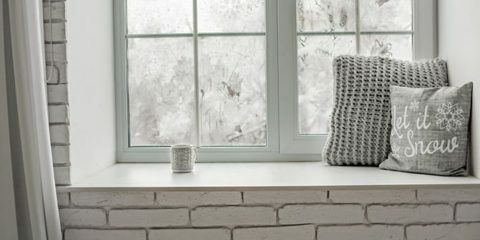 More specifically, he wanted to make the exterior look nicer and increase its overall en ..
4 Reasons to Install New Windows in the Winter Many Columbus, Ohio, homeowners are hesitant to install new windows in the winter. We don’t blame you—it’s cold, wet, and you’re probably busy preparing for the holidays. 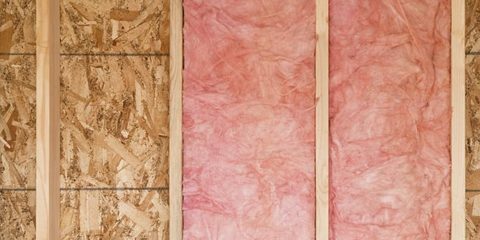 The spring and summer months seem like they would be the best times to update your home, but there are quite a ..
4 of the Most Common Home Insulation Questions Winter is quickly approaching in Columbus, Ohio, and that means it’s time to prepare for lower temperatures and higher energy bills. If your home isn’t properly insulated, you could be paying more than you need to due to unnecessary heat loss. 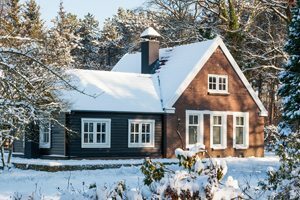 Avoid higher energy bills this season by hiring an ..
Three Ways To Increase Your Home’s Value Making improvements to your Columbus, Ohio home not only increases your enjoyment, but it can also increase the value should you ever decide to sell it. When it comes to choosing which home remodel services to take advantage of, there are a vast number of options. Which one is right for you? Which o .. 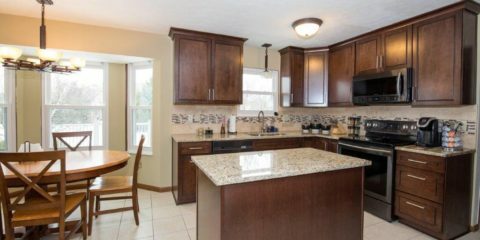 The 3 Signs You Need A Kitchen Remodel Taking the plunge and remodeling the kitchen for your Columbus, Ohio home is a big project, with many things to consider. 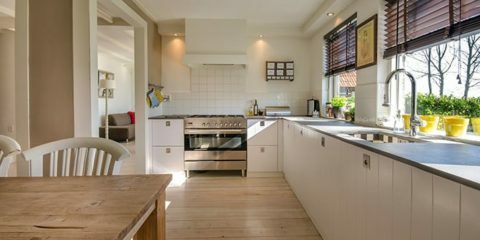 Before you start planning and budgeting, it’s important to know WHEN it’s time to consider a kitchen remodel. 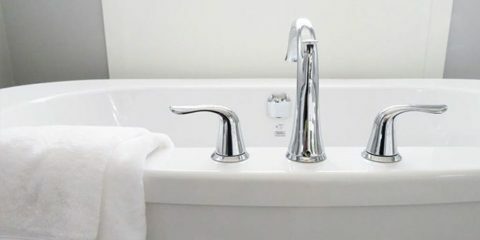 There are classic signs that you need an update, and there are also ..
Bathroom Renovation 101: How to Plan During the month of May, our goal is to educate and empower you to take the steps to get the home you have dreamed of, starting with your bathrooms. With so many options and routes to consider, it can become overwhelming very easily. 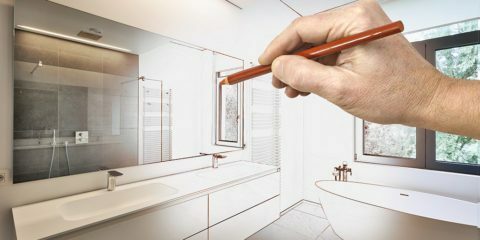 Have you told yourself that this is the year you are going [ ..
March Remodel Madness: Bathroom Edition The weather is turning warmer, the snow is melting, and the days are getting longer. That can only mean one thing. No, not your favorite basketball tournament. It’s time to start thinking about your remodeling plans for the year! The warmer months are perfect for entertaining guests and completing t .. The Top 3 Reasons to Hire a Professional Home Remodeler We’ve all been there (us included). Do I try to remodel my home in my spare time? Do I call a “handy” friend and that can help me for cheap? While these options may seem appealing, relying on your own craftsmanship or a friend can cost you time, money or a friendship. Here are our […] ..
Home Remodeling for Generations While home remodeling companies come and go, Wingler Construction crosses generations. 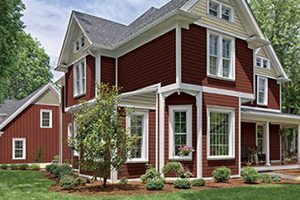 What started as a small vinyl siding company has since transformed into a family business that supports the great community of Columbus, Ohio. 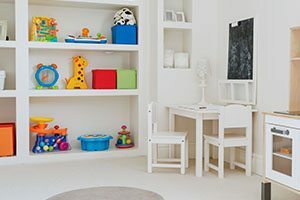 Whether it is a small bathroom or a historical property with many intr ..
Transform Your Basement: Playroom Finished basements add a great deal of value to your home. But more importantly, finished basements are fun. A basement can be transformed into several fantastic additions to your home. An unfinished basement can be considered a waste of space. Would you leave a bedroom unfinished? No. You’d probabl .. The Importance of a Functional Kitchen The kitchen is an important room in your home. Many hours are spent in the kitchen rushing around in the mornings getting ready for work or school, preparing lunches to pack for a busy day or dinners to share with your family or entertain a group of friends. Chances are, your family will gather in [ ..
From a House to a Home By definition, a house is a building for human habitation. A home, however, should be more than simply a place for you and your family to reside. 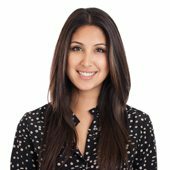 A home welcomes you after a long day, makes guests feel welcome and invited, and a place where you and your family can relax and escape from the [ .. Helpful Hints for Preparing Your Home for Winter in Columbus, OH Winter is approaching and it’s going to get cold in Columbus, OH! Here are some helpful hints to help you stay warm when the cold temperatures strike. Reverse your Ceiling Fans: It’s not a myth! 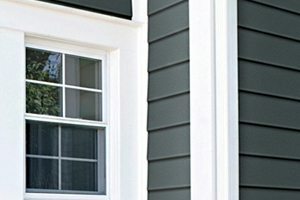 Reversing your fan in the winter really does help keep the warm air from rising – which keeps your ..
James Hardie Fiber Cement Siding Your home should be tough enough to fight the outdoor elements. Your siding is one of the main things that protects your home. The way your home looks on the outside is just as important as how it looks on the inside. 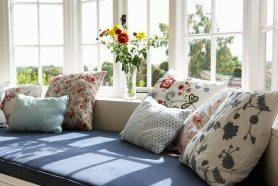 Visitors will see the outside of your home before they ever set foot […] ..
Benefits of Retrofit Windows One of the biggest reasons people turn to retrofit windows is for energy efficiency. If you have ever been around a leaky window on a windy day you will notice one thing. This window doesn’t stop much air from entering your home. 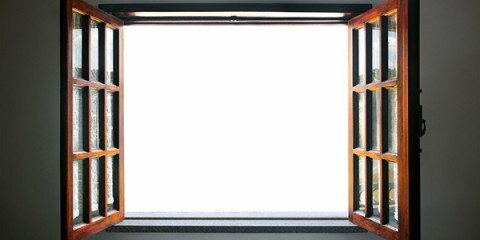 These windows are where most of the heating and cooling energy i ..
Should You Repair or Replace Your Windows? To repair or to replace windows, that is the question. 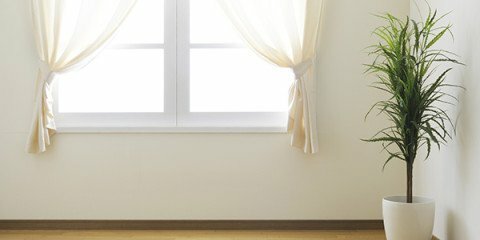 Old windows can play a big part in decreasing your happiness in your house. It can be difficult and very expensive to heat your house during winter due to breezes entering your house. 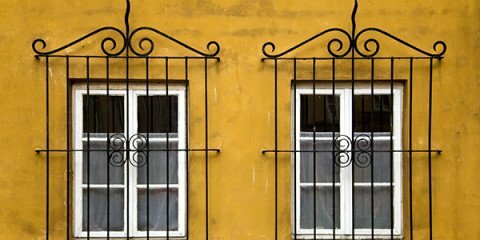 It is also true when it comes to cooling your house during [ ..
Are Security Bars on a House's Windows Bad Feng Shui? 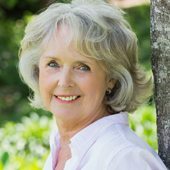 The science of Feng Shui states that the state of any part of our house, be it the windows or the doors or even the steps form a very important part of study and their state effects the well-being of the people who reside in that home. The Windows are known as the eyes of […] .. Attracting Birds to Your Windows It may seem highly illogical to want to attract birds to your windows when most people try to do the opposite. However, this can be a rewarding and worthwhile experience for both you and the birds. 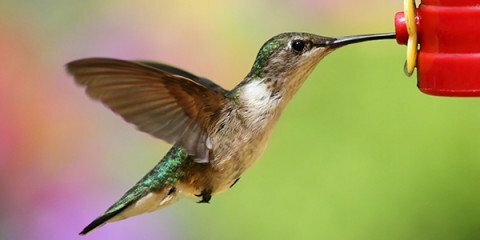 In fact, having birds near the window prevents window collisions because the birds are normally too cl .. Basic Window Types Windows are an integral element of your home from aesthetic and architectural point of view. They can enhance the look of the exteriors of your house to altogether new heights. This is one of the reasons why manufacturers are consistently expanding the range of products for remodeling and fresh inst ..